So at 8:15 last night…we started the demolition! Here is what it looked like last night before we started. And if you want to see what it looked like before this, be sure and check out this post and this post! 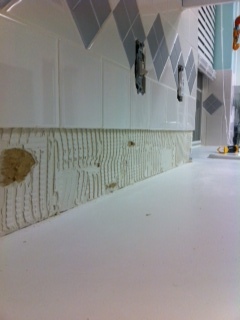 Five minutes into this fun, the dremel tool that we were using to remove the grout quit. So we continued on with screwdrivers, a putty knife, and a hammer! The first section of tiles came off pretty good. 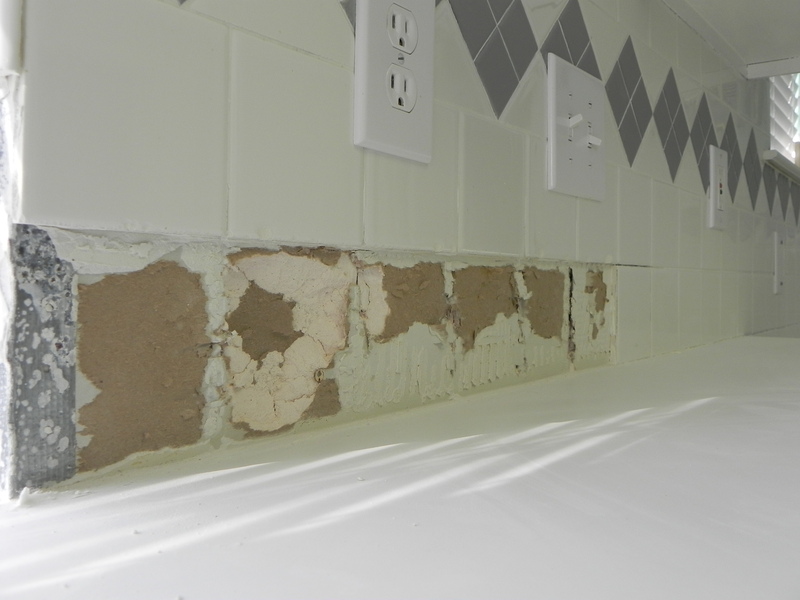 No cracked tiles and not much drywall damage. Y’all have a great week! Later gators! 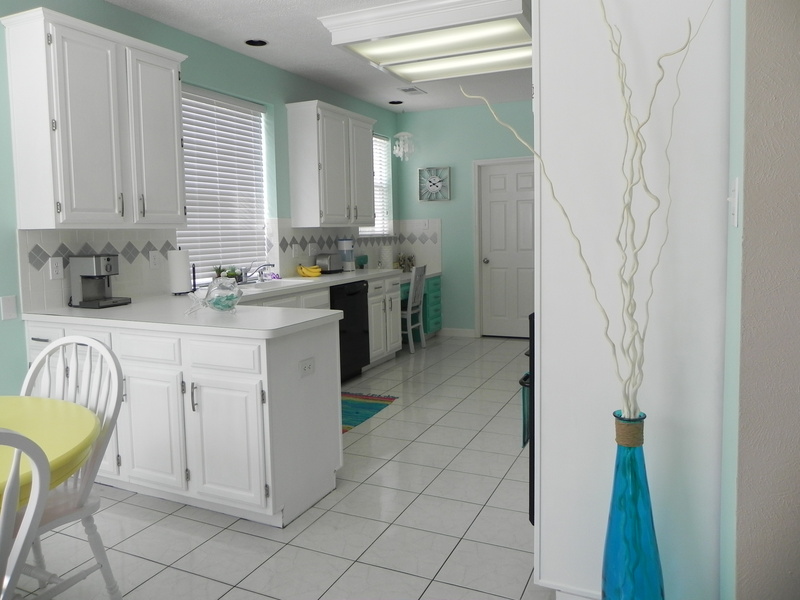 This entry was posted in House and tagged backsplash, ceramic tiles, diy, home, kitchen, makeover. Bookmark the permalink. ← My Little Gypsy Room!